I just learned that UpCountry Sportfishing had to pull out of the show; I’m still going to tie, but obviously not at their table. 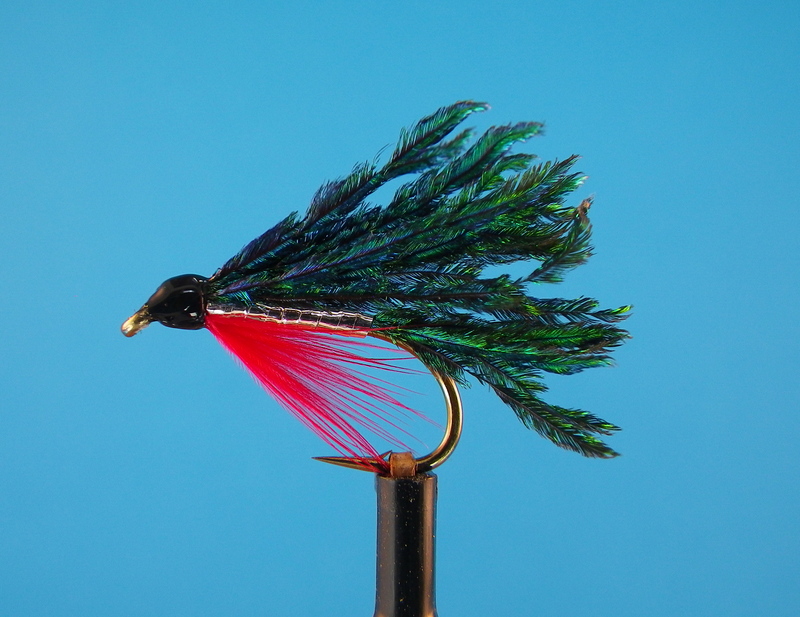 I had planned on focusing solely on wet flies for trout, but I’ll probably do a little saltwater, too. You can find me on Tyers Row. Also, due to some prior commitments, I won’t be able to tie the whole time. Figure something like 9am to 1pm-ish. Hope to see some of my local followers there. The CFFA Expo is held at Maneeley’s, 65 Rye Street, South Windsor, CT, 2/1/14. One from the archives. I wrote this several years ago to remind myself that Pete Seeger was right. Not to mention Paul. 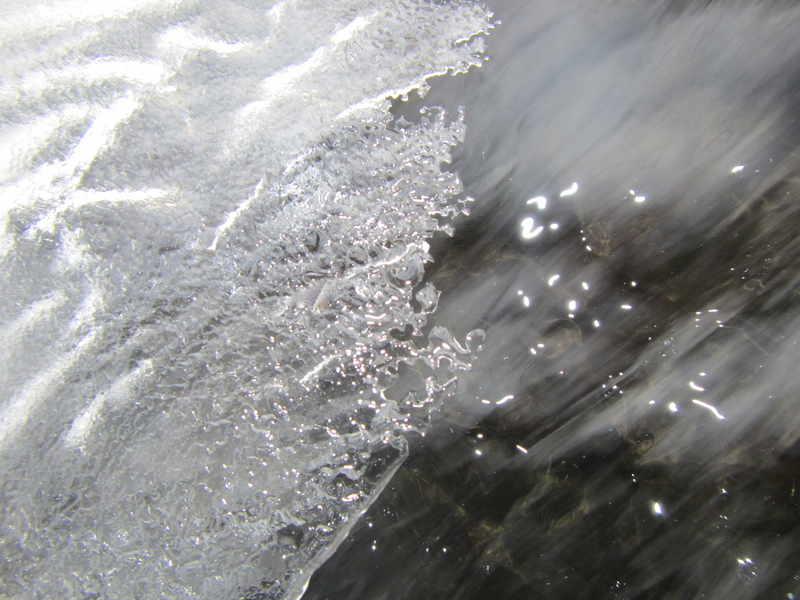 I smiled in affirmation, but on the way to the stream, her words got me thinking about the bum rap winter takes when it comes to natural rhythms — and angling — especially if you plan on forsaking the homey comfort of the ice fishing hut in favor of wading. The reality is, fall is when things die. Winter is when life begins. And it truly is a wonderland, alive and well and overflowing with vitality. Step into your backyard or some nearby woods. The trees and bushes are already covered with buds, nature’s amazing automated leaf and flower systems, full of life (in the dead of winter!) and waiting for the warmth of spring to pop. As I write this, the mercury is well below freezing, yet my forsythia is as green as a springtime lawn, stems so bud-laden I can only imagine the yellow riot that awaits me in April. Mountain laurel and rhododendrons proudly display the evergreen banner, and from my window I can see a cardinal and his mate searching for seeds in the compacted snow. 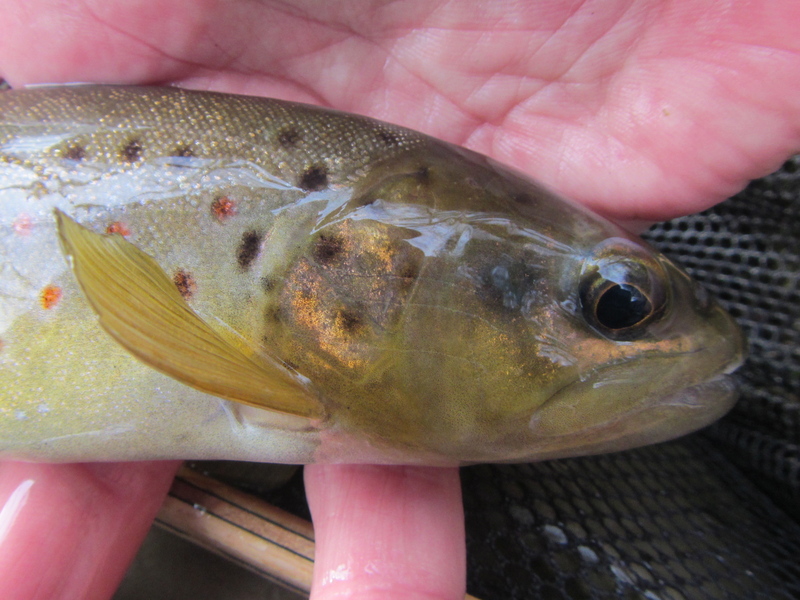 An exquisitely parr-marked Farmington River brown. Even on a cold January afternoon, she was more than happy to chase a swung fly. Even on the small stream I was fishing the day our receptionist questioned my sanity, there was life in the air and beneath the water. 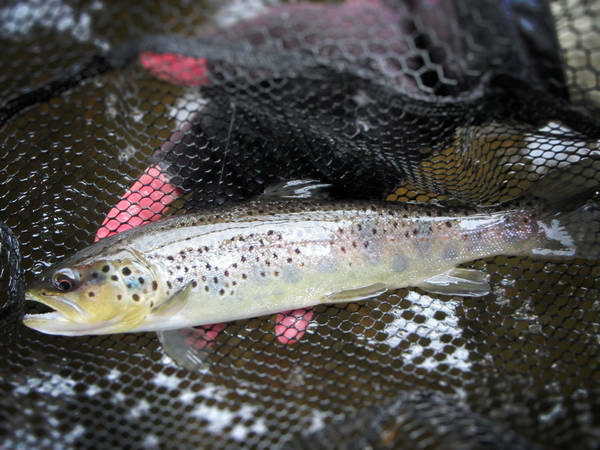 Though the high never made it past 30 degrees, size 14 charcoal grey midges flitted about. Wild trout were holding low on the river bottom, ready to gobble any food that came tumbling along. It started to snow, and as my cigar smoke drifted slowly into the windless air, creating a tapestry with the chunky flakes, I felt as alive and happy as I would be sipping lemonade a warm July afternoon. 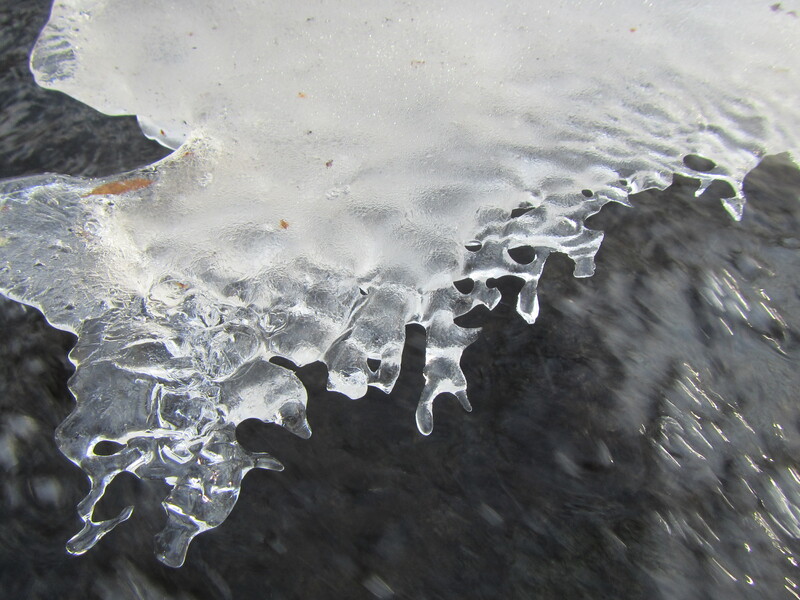 What mysteries remain uncovered along the frozen banks of our rivers and shores? You don’t know if you don’t go. I used to view winter as a time to store the rods and gear and prepare for the reawakening rituals of spring. No longer. I’m out on our streams and rivers and in the salt, almost always gloriously alone, left to my thoughts, the wonders both seen and unseen, and the bounty of life that reminds me spring is on the way. Today was a pretty darn nice day for January, and there was no shortage of anglers taking advantage of the last of the thaw. Plenty of vehicles in Greenwoods, Woodshop, along Church Pool, and in the lot. The upper TMA was running about 550cfs, clear, and in the low thirties. High air temp was low forties (no ice on the guides — huzzah! ), abundant sunshine, and a good southerly breeze that kept most of the dry fly anglers away. Not much to write about in the way of hatch activity. 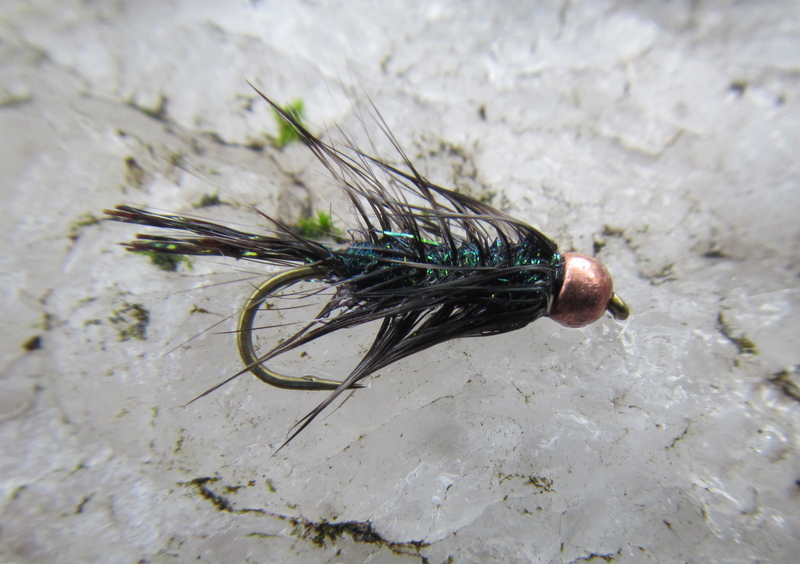 I nymphed from 11:30am to 1:00pm under an indicator, and the trout preferred the smaller of my two flies, a size 22 (really an 18, 2x short) soft-hackled BHPT. Always a happy moment, landing your first Farmington River brown of the year — or for that matter, landing a trout in January. An angler below me also did well on small nymphs. Switched over to streamers and ventured to some different water, but could find no takers, though I did speak to another angler (Colin — pleased to meet you) who told me he had gotten into two trout on streamers. The cold is coming, so get out while you can. 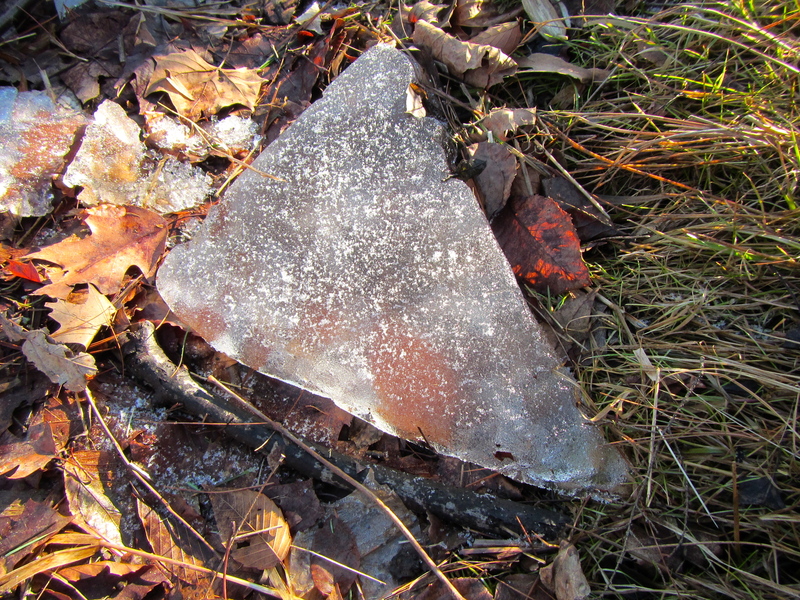 Remnants from the last ice age — about two weeks ago. I will be tying wet flies at the UpCountry Sportfishing table at the CFFA Expo, Saturday, February 1. The event runs from 9am-3pm; unfortunately, due to some prior commitments, I won’t be able to tie the whole time. Figure something like 10am to 1pm-ish. Hope to see some of my local followers there. The CFFA Expo is held at Maneeley’s, 65 Rye Street, South Windsor, CT. The Grapefruithead Leech is the creation of steelhead guide Kevin Feenstra out of Michigan. I first saw this pattern a couple years ago in John Nagy’s Steelhead Guide. I remember thinking it was a horrible fly. You know, over-the-top, unapologetic, in-your-face, clearly inspired by the egg-sucking leech. I was thumbing through the book this past fall, looking for some ideas, and there it was again. Over the next few weeks, I kept coming back to it. It was kind of like drinking a new bottle of wine that you’re not sure you like; as you’re trying to decide, you realize the bottle’s nearly empty. So I tied some up for my November 2013 trip. 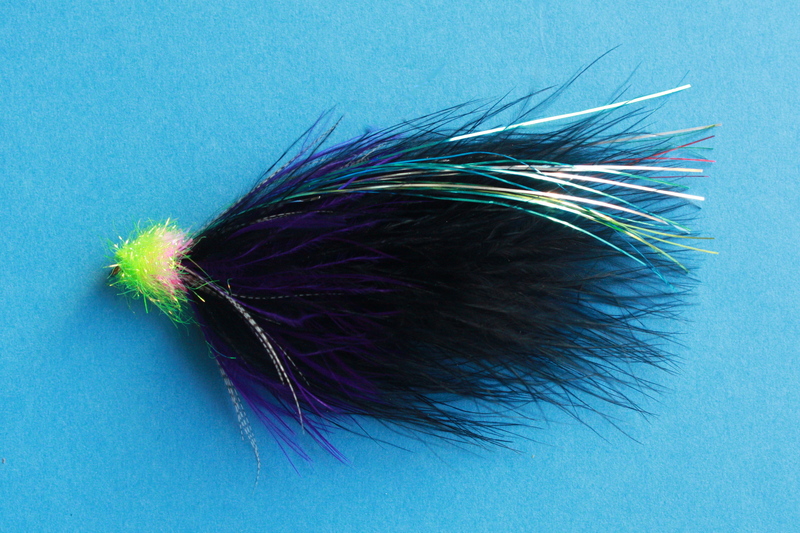 Wouldn’t you know, I caught my first steelhead on the swing on this horrible, beautiful, wonderful fly. Feenstra says he likes this pattern whenever there’s snow on the ground. I can tell you that steelhead also like it near dusk on a snowless day, dangling in the current near the tailout of a shallow run.